Waits 30 simfiles to make pack. Edit some mp3 file in Oshichau zo!! Me Sitting cause i tired .-. I edited thread before i post new update or modify. Note : First hardest anime simfile.Sorry for big size because i need video high quality.Video size 15mb (+mp3 = 18 mb).Why i use bpm/2 before starting? because i want to set video in 0.00 .ITG LEVEL!! - Light  : Ok,I don't make 2-5 level in this.Many stream but not chaos note. - Medium  : That well,Many stream and air than Light.It hard more than Light level,but not much. - Hard  : Main DDR pad level.Has chaos notes and many airs. - Challenge  : Main ITG pad level.I make this for play on ITG.Chaos notes were many and non-stop on padder. Note : I use lv.11 in challenge because it has many crossover notes.Many streams and chaos notes.ITG Level. 1.Reupload Watashi Rashiku Aru Tame no pledge simfile because i use Misaka from index in this simfile. 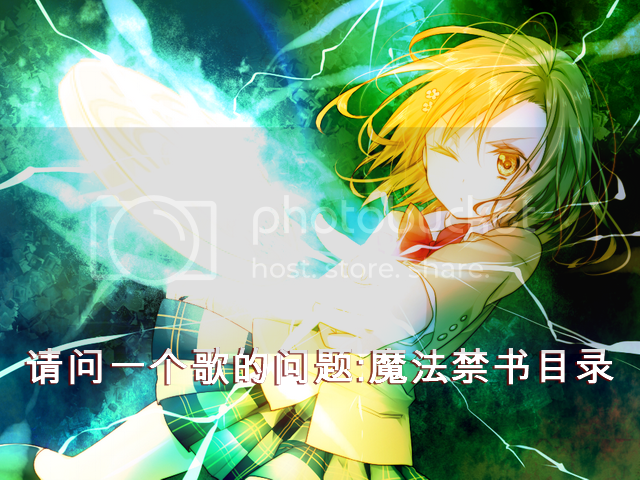 To Aru Kagaku no Railgun will release character songs on 26th march so I make this sure. Misaka in this simfile from Railgun not Index.I use misaka from index to this simfile now. remake bn and challenge level. Note : I cut this from Raw file.Make many stream in Challenge level.Use level 7 in hard because it doesn't has many notes. Page created in 0.633 seconds with 43 queries.